I’ve been meaning to write this post for a while now, so I am very glad I finally have the time and the resources to put this in writing, and have 2 baby related giveaways. A few months ago after doing some research, my husband and I decided that it was important to us to somewhat continue the natural approach we’ve been using in this pregnancy further into Alexis’s life. We committed to making sure that we buy organic clothes and bedding for her for as long as we can. The initial goal for clothes being six months, bedding-indefinitely. It’s well known how incredibly sensitive an infant’s skin and system are and that her lungs, digestive system and brain are still developing outside the womb, so using items that are softer, more pleasant to her skin and most importantly are free of harmful dyes and chemicals was something that we considered of value. I remember thinking a while ago: It’s just clothing/bedding . How harmful can it be? Well, it turns out a normal 100% cotton top is usually far from being just cotton. With the advance in manufacturing (and subsequently the amount of money to be made on mass produced cheap clothing), companies are doing all they can to cut costs and make things cheaper and more efficient. That results in clothing that is full of pesticides, chemicals, flame retardants, ammonia, metals, formaldehyde and artificial dyes. Aside from all these harmful substances leeching into the baby‘s system, there’s also a big possibility of them being a big allergen for small babies, especially those born to parents with sensitivities. The skin of a baby is much thinner and less oily than an adult’s, which makes it more porous and their immune system isn’t strong enough yet to handle the toxins, even in small amounts. And unfortunately, washing clothes doesn’t remove all the chemicals and pesticides ( though it does help somewhat). The problem with cotton is that it’s very susceptible to pests and insects, so in order to increase production and profits, companies have to spray the crops with an unreal amount of pesticides and insecticides. According to Organic Consumers Association, “just 2.4% of the world’s arable land is planted with cotton, yet it accounts for 24% of the world’s insecticide market and 11% of sale of global pesticides, making it the most pesticide-intensive crop grown on the planet.” And think about this: five out of top 9 pesticides being used on cotton are known cancer causing chemicals. 1/3 Pound of chemicals are typically used in the production of one cotton T-shirt. And this is the stuff that sits on your baby for days, your baby sleeps on it, breathes it, touches it – quite disconcerting. Now we both realize that at this point, it is impossible to get away from all or even the majority of dangers in our environment, but just like in pregnancy we’d like to try to do as much as we can handle. At least until her body is not as sensitive to things as it will be in the beginning. And anyone with allergies would probably benefit even more from switching to organic. So I’ll leave the clothing for the next post, but here’s what I found out about bedding. Buying organic bedding and sleepwear is just a no-brainer, as a newborn she will be spending MOST of her time sleeping on her sheets and mattress, breathing whatever they have to offer. Organic mattresses are really expensive, sheets are much more affordable, so are mattress pads, changing pads and protectors. But after reading some information about SIDS and it’s very possible link to the chemicals in our baby mattresses ( thanks to a blog reader). Here’s a shorter simple explanation behind the theory and science. After reading a bit, it blew my mind to find out what the baby mattresses are made of : petroleum, vinyl, pesticides, cancer causing substances, and then to comply with stupid government fire safety regulations, they’re sprayed with horrible flame retardants. 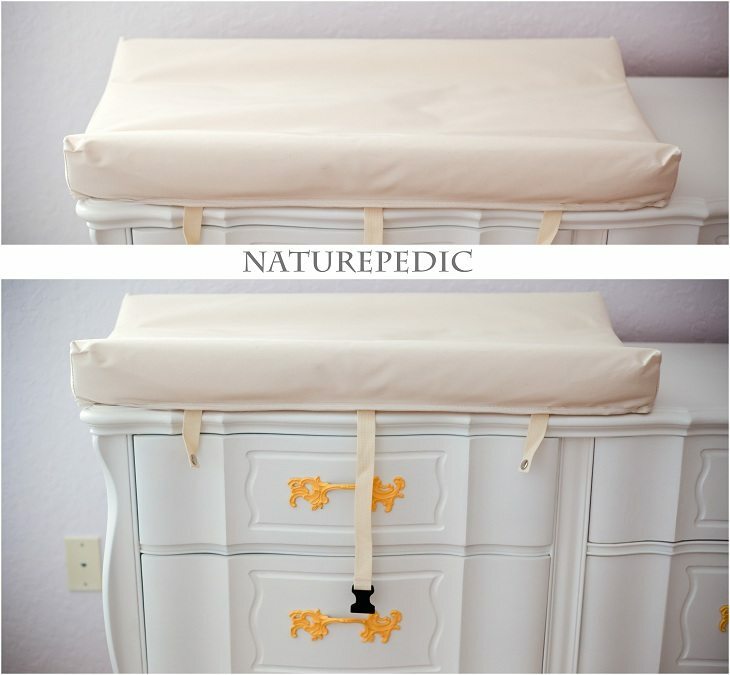 So after a lot of procrastination and looking around and after we tried out a Naturepedic changing pad (see below), we just purchased a Naturepedic organic mattress. We also have organic sheets from different brands ( those are really cheap), as well as organic changing pad covers. Anything that I know my baby will be spending a lot of time on/in, I want it in organic if possible. I’ll try to write a post about my Black Friday purchases (I know I promised), a lot of which were organic since I had just read about it all, mentioning where I got them and how much they cost, in case anyone is looking to switch to organic as well. But here are a few popular baby related things that actually come in natural and/or organic option. One thing that hit me right away was “NO SMELL!”. You know how you get things, you unpack them from that vinyl wrapping and you get a good whiff of glue-like, plastic-y smell. None of that here. This one didn’t smell like ANYTHING! That was a very reassuring thing for me. It’s waterproof and easy to clean, but not made out of vinyl and other toxic chemicals. They use a clear non-allergenic 100% polyethylene food-grade waterproof coating. 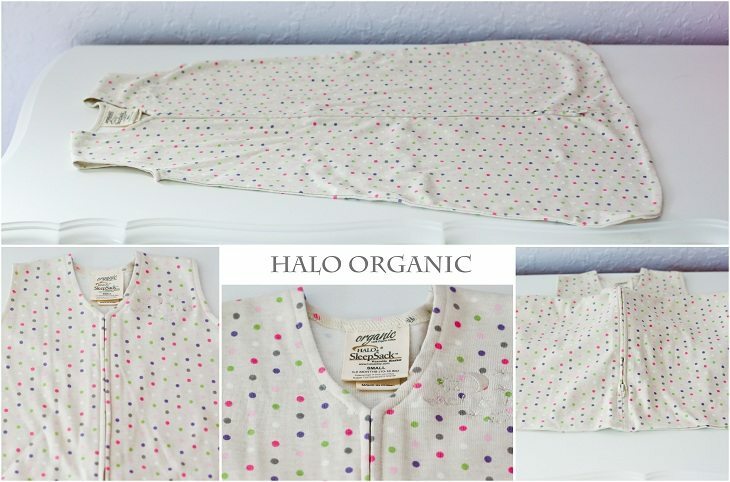 The filling is 100% organic cotton without pesticides and chemicals. There’s no latex which can be an issue in allergic people. Everyone I talked to recommended that I get a Brestfriend as a breastfeeding pillow. I loved that they had an organic option. Unfortunately, it’s only the cover that’s organic, not the actual pillow, but I realize that they’re not in the business of making organic breastfeeding pillow, so I really appreciate at least having the option to purchase an organic cover, since I’ll be spending many many hours breastfeeding Alexis. The cover can be bought separately for $17 if you already own a BrestFriend, or you can buy the pillow with the cover for $48 right now on Amazon (down from $60). I will write more about my experience with the pillow once I get to try it out, but I wanted to mention it here, since it fits in the whole organic theme. This is a good website to bookmark. It basically stocks all kind of natural and organic products, as well as allergy related supplies. You can buy safe non-toxic laundry detergents, asthma care, air cleaners, pet allergy products, organic and hypoallergenic bedding. I used two items from the website: an organic crib blanket (sale $26.95) and a waterproof wool mattress pad ($89.95). The crib blanket reminds me of being a kid and spending summers with grandma in the country: natural, comfy, hand knitted blankets that were spread all over the country cottage. The waterproof wool pad was a little bit of surprise for me. I didn’t know that wool is a natural flame retardant and is waterproof. If you don’t want to use toxic waterproof padding for your crib mattress, you could opt for wool. Check out the picture below of water droplets just sitting on the wool pad- they don’t soak in. Pretty cool! Also, baby‘s bedding and clothing need to be washed in a different detergent than our adult clothes, one that’s hypoallergenic and safe. Allergystore.com stocks the best one: OxyPrime and Oxy Clean, which I am a fan of. And if you have allergies, try the Allersearch. A well known original wearable blanket comes in an organic option seen below ($32.95 or $28.95 on Amazon). It’s only 6 dollars cheaper than the non-organic option and I consider it $6 well spent. I’ll write more about how it works on an actual baby when Alexis arrives, but I thought that it was definitely worth including into the post. Halo also has the swaddle version of this blanket which is perfect for newborn babies. 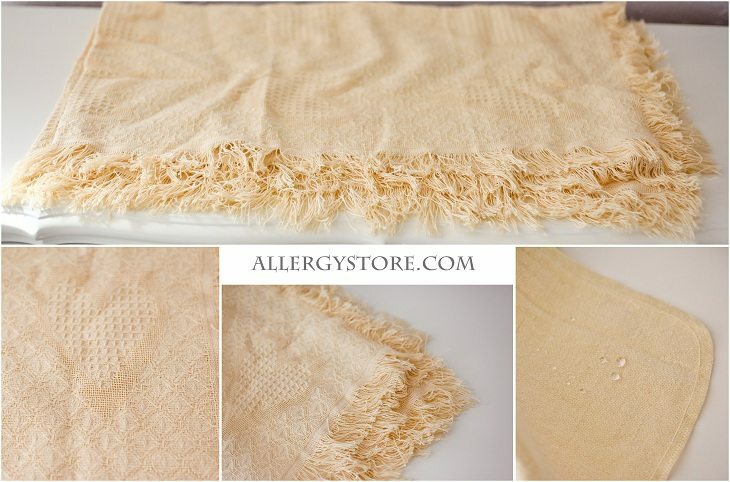 Have you noticed how difficult it is to find soft comfy cozy baby blankets that aren’t made out of polyester, fake fur or other synthetic fabrics? Made of bamboo and cotton – super soft and pleasant to skin without the use of synthetics. It’s a REALLY BIG blanket- perfect as a stroller blanket or a crib blanket. It’s awesome for cold weather babies plus toddlers will love the feel of it, too. Tamre, the founder, actually came up with the idea for the blanket when all her gifted blankets made her little baby hot and rashy. Bamboo is perfect for babies because it regulates their temperature and is naturally antibacterial. It comes in adorable sweet colors – perfect to match any nursery. I can’t wait to finish Alexis’s room and hang this very blanket on the crib as a design piece until I can use it with her when she’s a little bit older. Disclosure: I received no compensation for my reviews other than free samples of the products. All opinions are 100% my own. I noticed you mentioned oxy clean. Just so you know I used to use that as a detergent. Until I ended up in the hospital after an allergic reaction. The hospital said they see more reactions to oxy clean than any other detergent. It is really bad on skin. Just passing that along. Even today I can still remember those nights of tender skin and scratching till I bled. Look into oxy clean before you bring it into your home. Oh wow! Thanks For letting me know! I’ve heard such good things about it though. I’ll definitely look into it and be careful! I can’t afford to go on an organic overhaul in my home. When I see organic baby clothing in the stores around me, I find that they are way too pricey for me to justify. Innocent question- doesn’t the process of washing the clothing over and over remove the pesticide that could seep into a child’s skin? Seriously, there is way to much stuff to worry about. Oh I totally agree. It’s expensive- that’s why we are doing clothing for just 6 months. Bedding is a bit better since you get to use it for a lot longer and I’ve been able to find some deals on it (I’ll post about that later). From what I read washing doesn’t remove all pesticides and then there’s also other chemicals like flame retardants and formaldehyde they spray to keep clothes looking fresh. In organic you know they don’t use chemicals and toxic dyes. So while Alexis is little, we are trying to make it as safe as our wallet will allow and then play it by ear. But my husband swears by organic bedding now. He’d always wake up with stuffy nose and now that we changed sheets pillows and comforter to organic it’s clear! Regarding wool, I know you are going to cloth diaper. Wool covers are a popular option over non-waterproof fitted diapers, for the same reasons you mention above, plus it’s naturally antimicrobial and antifungal, and very breathable (great for baby booties). Please don’t hang a blanket on the crib! Even the youngest baby could pull it down on herself. Not to mention there’s just no need to block airflow through the crib. I know that sounds paranoid, but it’s such a simple thing to do to make her crib as safe as possible. Have you thought about organic clothing for YOU? Especially in the first weeks/months you will find that the only place your little girl will want to sleep will be on you. If you are that concerned about what she is on/in you should really look into it for yourself. I considered that, but it’s hard enough to do mostly organic for baby, I don’t think I can do it all. I do have a few organic pieces, including nursing pjs, so I’ll attempt to do that. Otherwise, I really want to do lots of skin-on-skin. But I know I can’t buy all organic for myself- maybe a few home pieces for me and hubby. just a FYI….those sleep sacks are the best thing ever invented. Both of my kids HATED being swaddled (my son actually fought with the swaddle untile he broke out of it…he was 3 days old) and we switched to the sleep sack then. I commented already, but meant to comment on this actual post 🙂 We love our organic mattress…it was an amazing purchase! 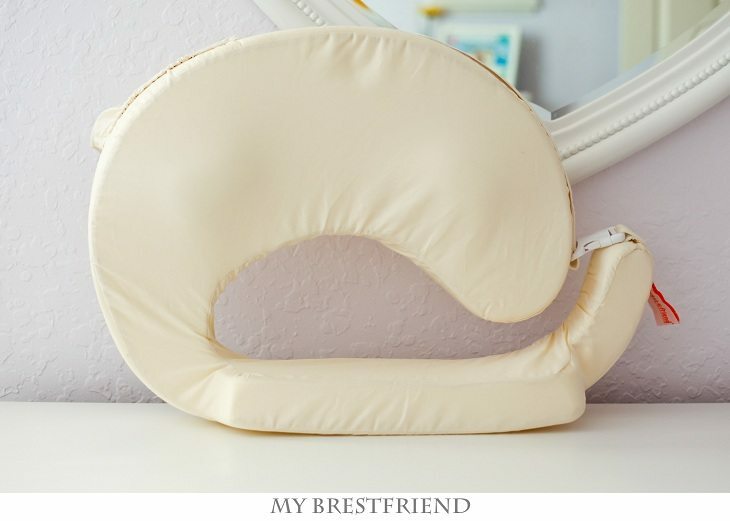 I wish they had the organic Brest Friend cover when I had Ben…but the Brest Friend is a lifesaver when breastfeeding! 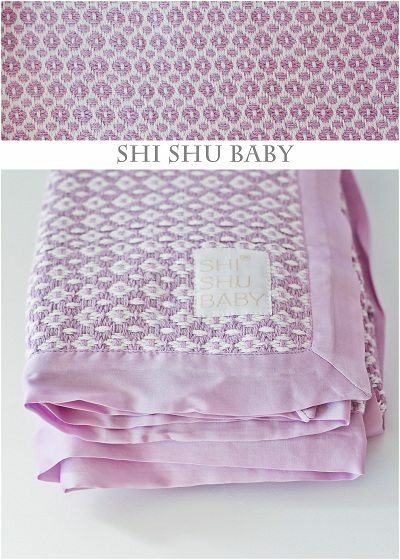 Also, have you heard of Aden + Anais swaddles? I am in love with these blankets…I used them when swaddling Ben as a baby, and now he uses them as his “blankie” in his crib and in the car, etc. They have organic versions of their products. By far the best purchase we made!! LOVE! Good luck with everything! I just found your blog, it’s wonderful. Yes, I actually have 2 A&A organic swaddles I got from myhabit. I did hear they are awesome, so I can’t wait to try them out. Hi I just saw that I won or I think I won the organic changing pad! I was just wondering do you contact us or do we need to contact you. I’m not sure what email I used when I entered I assume it was my facebook one but not sure. I would use it. I don’t think using an occasional non-organic item is going to be that big of a deal. My goal is to try and do as much organic as possible when it’s in my control, but otherwise I don’t stress about it. Most people close to me know we’re going organic for the first 6 months, so those that have bought something non-organic made sure it was for after 6 months ( which was very thoughtful of them). But if someone knits something special or buys something for her that’s not organic I’ll definitely use it. I actually have a few non-organic items I bought before I read up more on chemicals and I plan on using them. They’re little dresses and I figured they wouldn’t be worn too often anyways. But the rest I tried to buy in organic. Hey which car seat do you have? Orbit baby is the only one ive seen closest to organic! A little obsessed here too! What crib sheets and mattress pad covers did you use? I didn’t use a cover. Our mattress already had one built in. For sheets i use organic muslin sheets and other organic ones I bought on amazon. I’ll look up the name if you’d like.